Cirrent's technology will be offered on our Smart Home digital assistant platform, Nevo® Butler, to automatically configure Wi-Fi and improve ease of use and security for Wi-Fi connected devices. Cirrent is a leading provider of software that enables product companies to make Wi-Fi products easier to use, more reliable, and more secure. Cirrent’s technology will be offered as a pre-integrated feature on Nevo® Butler to bring enhanced provisioning and network management to our customers. Wi-Fi onboarding infrastructure service, pre-integrated into Nevo® Butler, extends home automation services, improves product set-up, connectivity and insights. Nevo Butler is an end-to-end voice-enabled smart home hub with a built-in white label digital assistant that unifies entertainment control and home automation experiences, enabling interoperability across fragmented ecosystems. Nevo Butler platform and kits will be available to operators worldwide to offer voice-enabled entertainment experiences and smart home services to consumers while remaining in control of the customer relationship. By pre-integrating Cirrent’s technology into Nevo Butler, our customers will get access to Cirrent’s ZipKey® technology for fully automatic provisioning of Wi-Fi networks, radically simplifying the set up for end users. Operators worldwide will be able to access Cirrent’s IoT Network Intelligence to automatically diagnose any Wi-Fi or network-related issues, taking the guesswork out of Wi-Fi setup and management for customers and operators. ...enables operators to remotely monitor network performance and diagnose performance issues to improve customer experience. 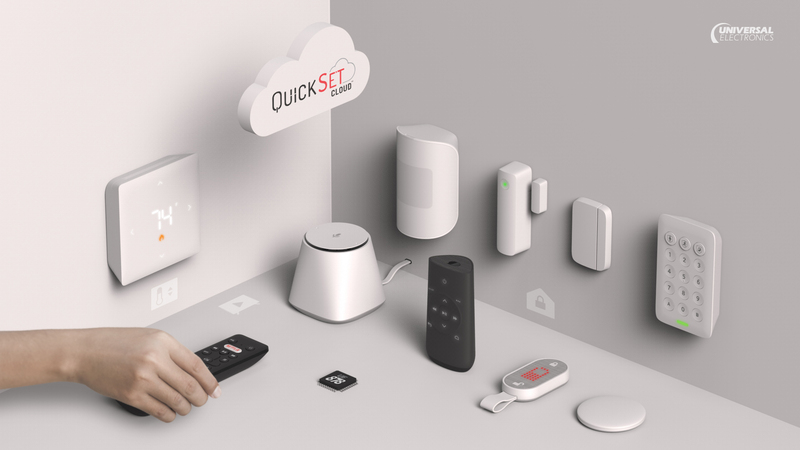 By adding ZipKey and IoT Network Intelligence to Nevo Butler products, we will be enabling operators worldwide to bring the benefits of ZipKey to subscribers, as Nevo Butler products may also act as ZipKey hotspots, allowing end customers to use ZipKey to onboard third party products -- simplifying the onboarding for home entertainment, security, appliances, and IoT products. ...simplifies onboarding for home entertainment, security, appliances, and IoT products. “Cirrent raises the bar on Wi-Fi user experience for connected products. Adding Cirrent technology to automate Wi-Fi provisioning was an easy decision for UEI. Cirrent improves both the customer experience and the security of all of the Wi-Fi products in the home, which benefits both operators and consumers,” said Arsham Hatembeiki, SVP of Product and Technology at UEI. Through partnerships with Cirrent, ZipKey products connect to the cloud automatically in more than 120 million homes. Network operator’s customers can connect ZipKey-enabled consumer electronics products automatically and securely to their broadband networks without entering network names or passwords, simplifying setup and improving the security of connected products. Cirrent’s solution also helps operators remotely monitor network performance and diagnose network performance issues, improving the customer experience.